THE X FACTOR is coming to its nail-biting conclusion with five finalists left battling it out. 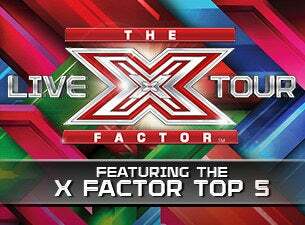 The top five contestants will embark on THE X FACTOR LIVE TOUR 2013 this November. The massive tour is confirmed to feature Dami Im, Jai Waetford, Jiordan Tolli, Taylor Henderson and Third D3gree. Headlined by THE X FACTOR 2013 grand final winner and the remaining top four contestants, the LIVE TOUR experience will give these talented performers the opportunity to get up close and personal with their fans. The top five includes, Queenslander Dami Im, 24, Jai Waetford, 14, from New South Wales, Victorians Jiordan Tolli, 19, Taylor Henderson, 20 and Third D3gree trio Jordan, 18 from Victoria, Kelebek, 18 and Jacinta, 19, from New South Wales. The top five will get this amazing opportunity to perform onstage live in the Australian arena tour. THE X FACTOR LIVE TOUR 2013 is a true extension of the TV show and will deliver an entertaining music spectacular with the impressive production elements and striking stage and set design that have made THE X FACTOR one of the most well-loved and visually remarkable programs on Australian television. The top five contestants will perform a selection of their most loved songs from their time on THE X FACTOR, with exciting special guests to be announced. Australia’s favourite TV show THE X FACTOR has been one of the year’s highest rating television programs, pulling in over 1.5 million viewers weekly. This year the show has been overseen by the judges and music heavyweights Redfoo, body rocker and LMFAO front man; Natalie Bassingthwaighte, entertainment icon and Australian recording artist; Ronan Keating, Irish singing-songwriting superstar and Australian darling and singer-songwriter Dannii Minogue. THE X FACTOR has uncovered some of Australia’s best talent with Samantha Jade, The Collective, Reece Mastin, Nathaniel Willemsie and Johnny Ruffo just some of the performers to become household names after appearing on the show. “THE X FACTOR” format has created more global superstars than any other singing competition television show including One Direction, Leona Lewis, Little Mix, Cher Lloyd and Olly Murs. THE X FACTOR is now aired in 205 countries, and local versions of “The X Factor” are now commissioned in 45 territories. The Ultimate X Factor Experience doesn’t end there. The fans can get up close & personal with their favourite contestants with an opportunity to buy VIP Meet N Greet Tickets and Platinum Soundcheck tickets. Proudly presented by The Today Network, When The Lion Roars, Syco, FremantleMedia & Sony Music.